Going to public school in Panama can be really boring, especially in certain classes. Most teachers here only lecture, and there’s very little student interaction in class. 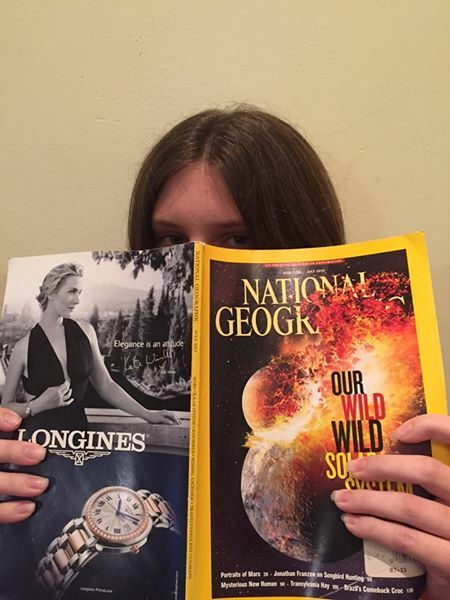 I usually bring a National Geographic magazine to school every day to read. (Sadly, I’m going through them faster than I can find them). I’m not sure if you know this, but I hate attention. I would be much happier in the corner being quiet than up in front of everyone speaking, or doing anything for that matter. But here I was, walking up to the board. Keep in mind that everyone here was having trouble and getting the problems wrong almost every time. When I got up to the front, I glanced at the problem, and immediately drew the little dot on the graph. That was when the entire class erupted. They were yelling all kinds of good jobs and even more “I love yous” than before. I smiled and went back to my seat, sat down, and tried to disappear. For the rest of the class period, people were coming up for fist bumps and high fives. What I had done wasn’t even that impressive. It was just putting (4,2) on a line graph. Yet I still got all kinds of (unwanted) attention for it. Well then. Just goes to show you how much attention I get at school on a daily basis. Now I have to decide if I want to keep going up to the board so that the reaction wears off, or never go up again and just stick to National Geographic.